Branch 1 connects Puerto Matarani to Azangaro, passing via Arequipa, Santalucia, Juliaca and Calapuja. The Urcos to Inambari segment will be 289km and passes through Quince. Andean Development Corporation sanctioned a &#36;200m credit line in September 2005. The fourth and fifth segments were contracted to Andrade Gutierrez, Queiroz Galvao and Camargo Correa. 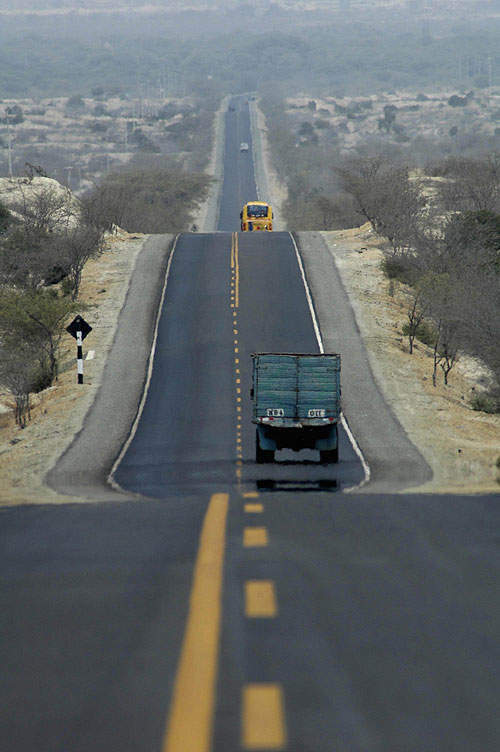 The Interoceanic Highway is a 2,603km international route that connects Peru and Brazil. Also referred to as the Southern Interoceanic Corridor (SIC), the highway links the Peruvian Ports of San Juan de Marcona, Matarani and Ilo with the Brazilian ports of Rio de Janeiro and Santos. The $2bn project was undertaken as part of the Infrastructure Integration of the South American Region initiative, which aims to establish connections from Peru to Brazil and Bolivia. About 95% of the highway’s construction had been completed by January 2011. When it is fully completed by 2013, it will allow the transportation of goods from Brazil to the Asian markets and vice versa. On the Peruvian side, the project is broadly categorised into two blocks, which are further divided into five segments for the purpose of construction. The first block comprises three segments: Urcos to Inambari, Inambari to Inapari and Azangaro to Inambari. The second block will consist of two segments: San Juan de Marcona to Urcos and Puerto Matarani to Azangaro / Ilo to Juliaca. "About 95% of the highway’s construction had been completed by January 2011." The San Juan de Marcona to Urcos segment is 774km and passes through Nasca, Puquid, Chalhuanca, Abancay, Puente Cunyac and Urcos. The Inambari to Inapari segment is 403km and will follow a route via Santa Rosam and Puerto Maldonado. The Puento Inambari to Azangaro will be 304km and pass via Sangaban, Macusani and Aselo. The final segment is divided into two branches. Branch one connects Puerto Matarani to Azangaro, passing via Arequipa, Santalucia, Juliaca and Calapuja. Branch two is routed via Ilo, Moquegua, Humajalsd, Puente Gallatang, Puno and Juliaca. The project includes the renovation of the existing roads and bridges as well as the construction of new ones. Construction on the Brazilian side includes building a bridge over the Acre river. Works on the Peruvian side encompass construction of paved highway over the existing stretch between the Inambari River and the Brazilian border. It also encompasses renovation of three highway routes which link to San Juan de Marcona, Matarani and Ilo on the southern part of Peru. Construction began from the Brazilian municipality of Assis. The highways on the Brazilian side, including BR-364, BR-317 and Rio Branco do Sul, are completed and connected to the border of Peru at Inapari. 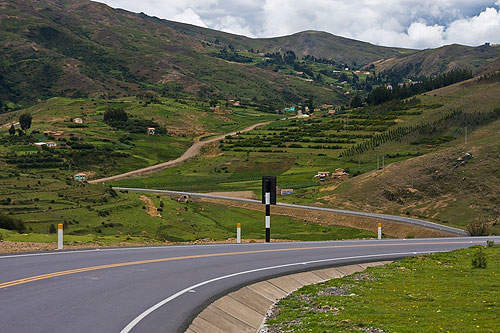 Construction on the Peruvian side commenced with renovation and improvement of three roads (San Juan de Marcona, Matarani and Ilo) that connect with Brazil. The maiden segment of highway, which connects San Juan de Marcona with Chalhuanca was opened in July 2010. A total of 22 bridges, including the Billinghurst hanging bridge, are being built at the various locations. The hanging bridge will be built across the Madre de Dios River near the city of Puerto Maldonado. The end-to-end and hanging length of the bridge will be 722m and 528m respectively. Provias Nactional conducted the bridge’s feasibility studies at a cost of $22m. The total cost of the project was initially estimated to be $1.3bn, but this is expected to rise to $2bn due to delays in the construction. 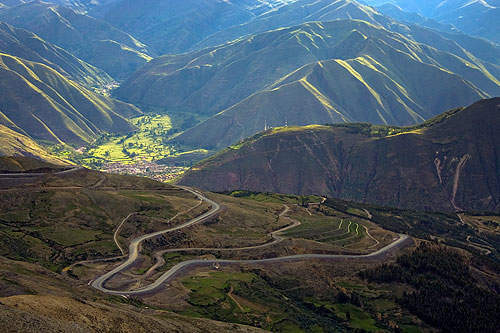 The Brazilian National Development Bank provided $400m in December 2004 for the construction of the stretch between Acre and Cuzco. "The total cost of the project was initially estimated to be $1.3bn." 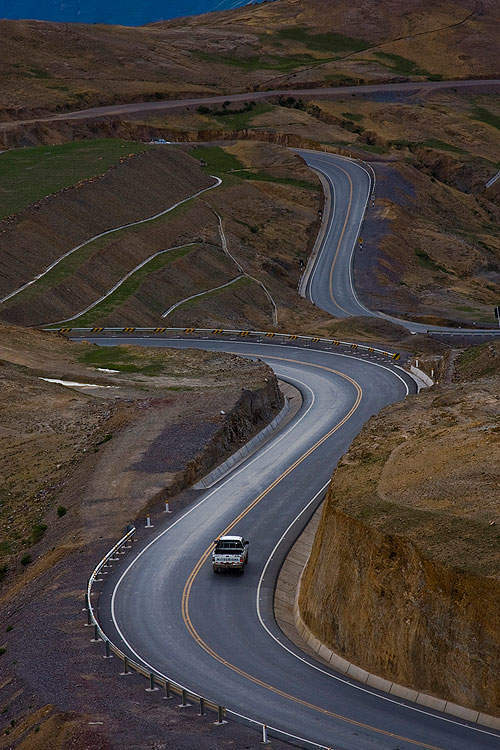 Andean Development Corporation sanctioned a $200m credit line in September 2005 to begin the construction of the second, third and fourth segments. Another $300m was approved in December 2008 to complete the remaining works on these segments. It provided additional $200m to the Peruvian Government in January 2010 for completing the final phase of second, third and fourth segments. It will also finance another $200m. In July 2011, the Peruvian Legislature Authority sanctioned an additional loan of $75m towards the project. The first segment has been built by Grana & Montero, JJC Contratistas Generales and Ingenieros Civiles y Contratistas Generales as part of a contract signed in August 2007. The second and third segments have been contracted to Odebrecht, Grana & Montero, JJC Contratistas Generales and Ingenieros Civiles y Contratistas Generales.